Do you need a Will, Power of Attorney or Health Care Proxy? Are you getting your fair share of an estate or trust? Attorney Connie Sullivan is fond of telling his estate planning clients, "Where there is a Will, there is a way." and when you are gone. If you need a Last Will and Testament, Trust, Power of Attorney, Health Care Proxy or Declaration of Homestead, don't delay any longer. 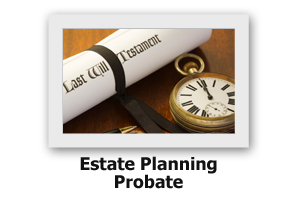 Call Attorney Sullivan to discuss your estate planning needs. Attorney Connie Sullivan prides himself in probating estates quickly and efficiently. He also is an experienced litigator. So, when push comes to shove, you can rely on Attorney Sullivan to protect your rights and make sure that you get a fair share of your loved one's estate and/or trust.